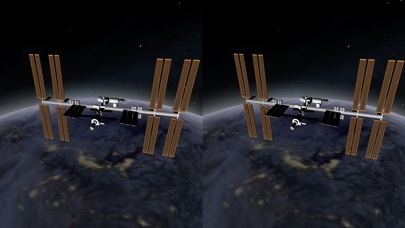 Orbitrack is a brand-new, Augmented-and-Virtual-Reality satellite tracker and spaceflight simulator! 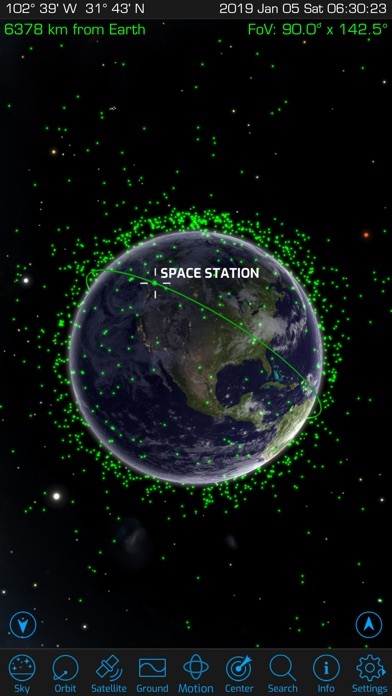 It's your pocket guide to the thousands of spacecraft in orbit around our home planet. 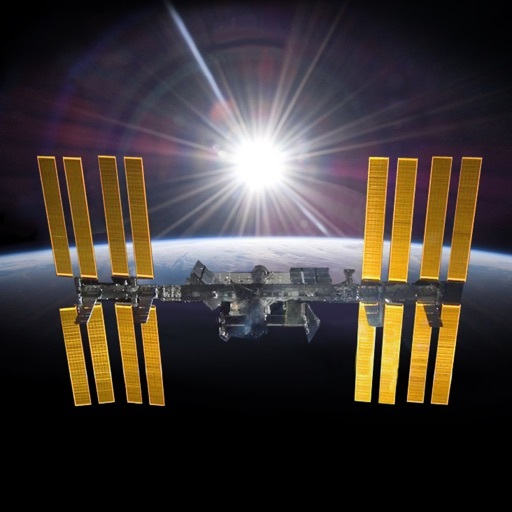 1) Twice as many spacecraft as Satellite Safari, including classified military satellites! 2) Rich new graphics show atmospheric effects, city lights on Earth’s night side, and highly-detailed 3D satellite models. 3) Voice-controlled Virtual Reality mode that works with any smartphone VR viewer. iPhone only. 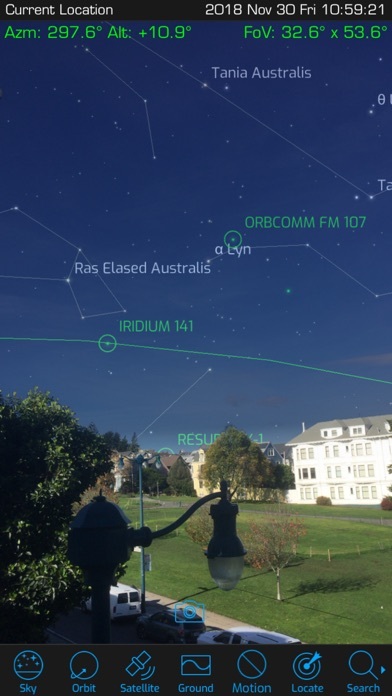 4) A true "augmented reality" mode that helps you find satellites in the sky by blending the sky chart with video from your phone's camera. 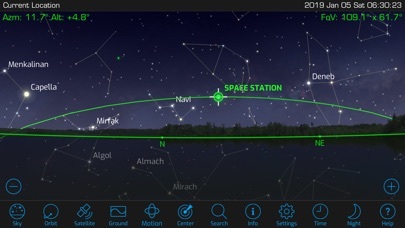 Works with Orbit and Satellite views too! 5) Iridium flare predictions and simulations. 6) Radio frequency data for amateur radio satellites. 7) Updated descriptions for hundreds of spacecraft. 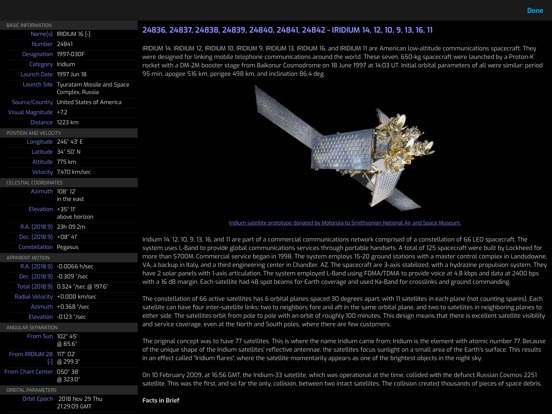 Every satellite now has a description from n2yo.com. 7) Supports the latest Apple hardware and software: iPhone XR, XS, iPad Pro and iOS 12. 8) Dozens of user interface tweaks and optimizations make Orbitrack faster and easier to use than Satellite Safari. 9) Requires at least iPhone 5S or iPad Air with 64-bit processor and iOS 10 or later. 10) New sound effects and ambient background music. 11) New Time Flow controls let you easily set the date and time, and animate the view. 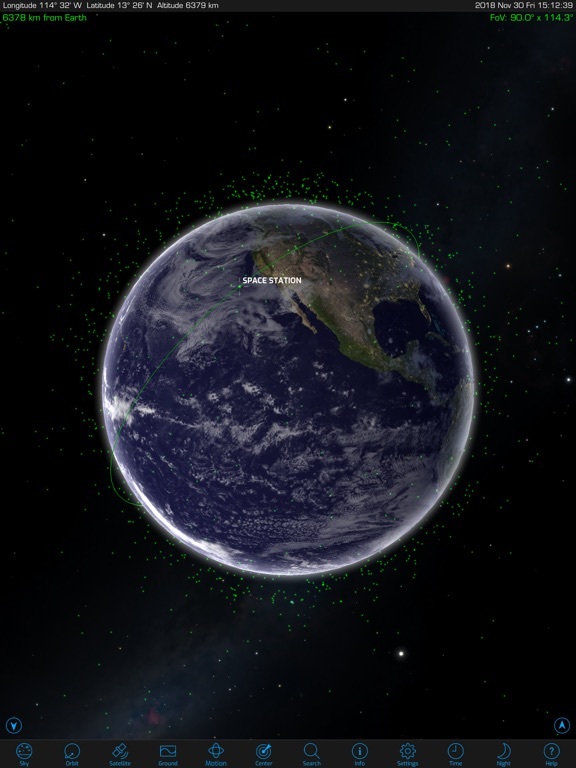 • Track thousands of satellites. Orbitrack will tell you when spacecraft pass overhead, show you where to find them in the sky, and let you track them across the planet. 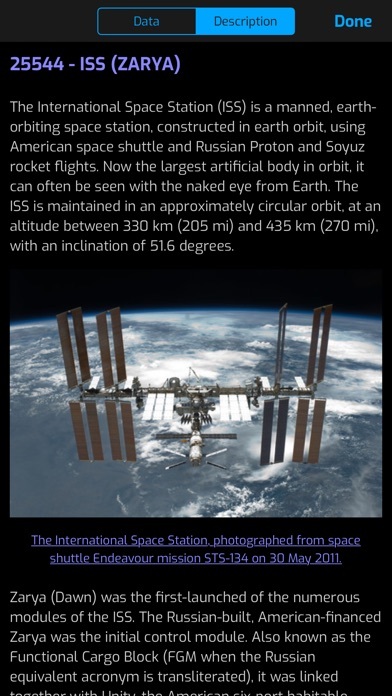 • Teach you about the International Space Station, and hundreds of other satellites in orbit, with comprehensive mission descriptions. 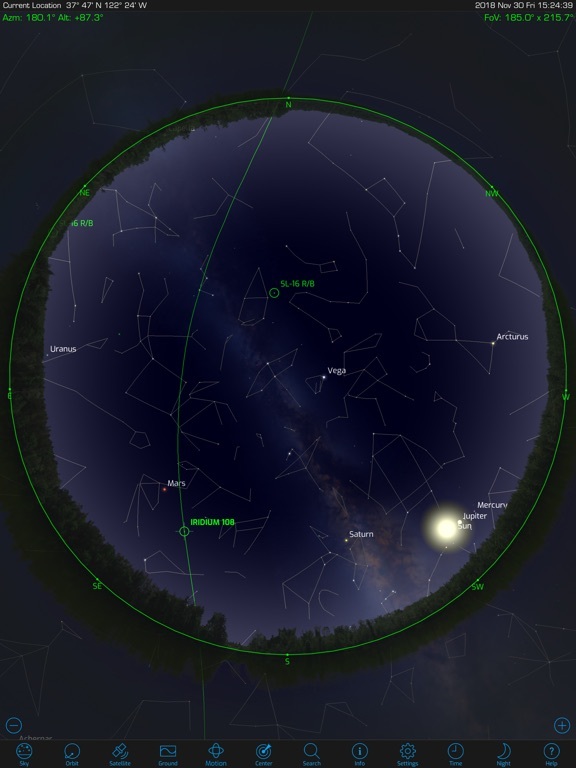 • Show the view from any satellite, and see the Earth from orbit just as the “bird” sees it! 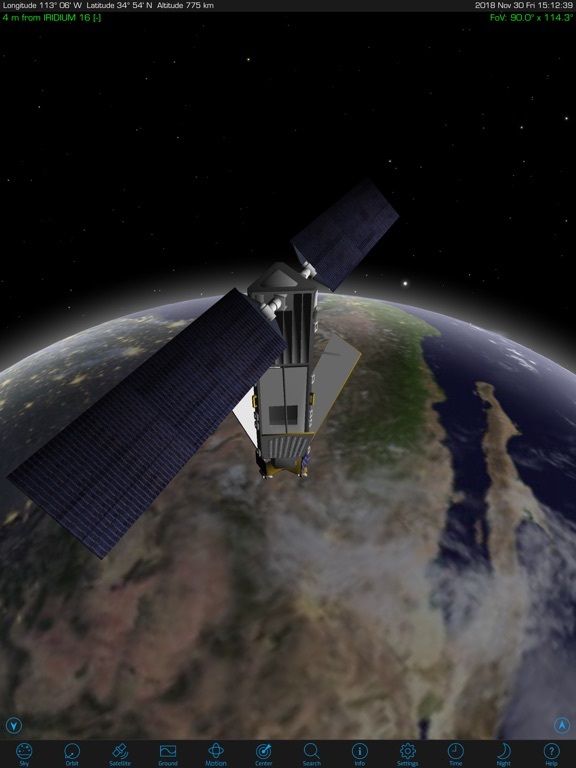 Orbitrack includes detailed 3D models for dozens of satellites – see them up close from any angle! • Stay on top of the space race. Orbitrack updates its satellite data from n2yo.com and celestrak.com every day. When new spacecraft are launched, maneuver into new orbits, or fall back into the atmosphere, Orbitrack shows you what’s happening up there, right now. Orbitrack isn’t just powerful – it’s incredibly easy to use! You don’t need an aerospace degree to become an expert satellite tracker. Orbitrack puts advanced capabilities at your fingertips, with the same intuitive touch interface you use every day. The new VR mode is an out-of-this-world experience. Become an astronaut without ever leaving Planet Earth! And if that’s not enough, Orbitrack includes detailed, built-in Help – and expert, responsive technical support. 1) Supports iOS 12, iPhone XR, XS, and iPad Pro. 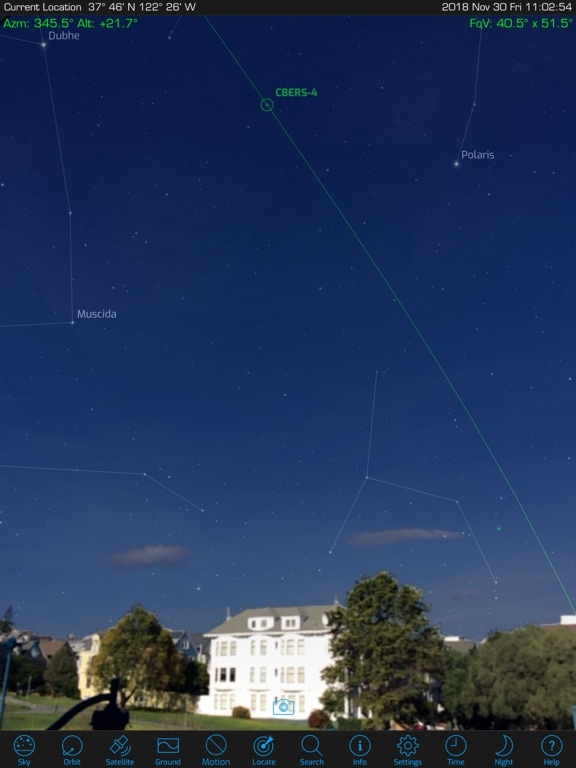 2) Improved Augmented Reality (AR) mode the utilizes the camera in Sky view. 3) New Motion button in the toolbar to easily activate your device's motion sensors. 3) More information in Satellite Info - launch dates, launch sites, categories, and countries of origin.